When outside temperatures begin to drop, it’s comforting to know a simple flick of the heat switch can make your indoors warm and comfortable. Michael J. Messick Plumbing, Heating & Air is the local heating professional that will make sure your heating system operates when needed. We are a full-service heating and air conditioning (HVAC) contractor serving local residential and commercial customers for over 30 years. Our technicians are highly trained to service a variety of heating systems, including warm air furnaces, baseboard heat, steam and hot water boilers, as well as air-conditioning systems and whole-house humidifiers. Our broad inventory provides our technicians with the tools they need to quickly service, repair, or even replace systems when necessary. Because we stock most major brand-name heating systems, our customers don’t have to wait for parts to be ordered; we can complete most service calls the same day. Don’t wait for the dead of winter to discover your heating system is on the fritz. Call Michael J. Messick to schedule a maintenance appointment now. All appliances, including heating systems, have a finite lifespan. Even if you are conscientious about maintenance, there will come a day when your existing heating system will stop working. And as Murphy’s Law would have it, that day will probably be the coldest one of the season. Don’t get left out in the cold. 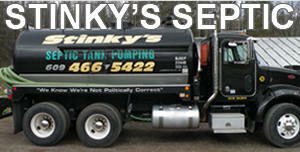 Michael J. Messick Plumbing, Heating & Air offers 24-hour emergency service, seven days a week. With our skilled technicians and ample inventory, we can get your heating system up and running again quickly. Alternatively, our technicians are skilled in heating system installations when your current system requires replacement or you are looking to install a new, more efficient heating system. Is Your Air Too Dry? Depending on the type of system you have, heat can leave the air in your home or office dry. While you may be warm, that dryness can be uncomfortable. At Michael J. Messick Plumbing, Heating & Air, we can help combat that problem by installing a humidifier. We are a full-service plumbing and HVAC contractor trained and equipped to install, service and repair all your heating and air conditioning appliances – including humidifiers. Don’t put up with discomfort – call us today! natural gas is more cost-effective; it can be used for other appliances including water heaters and clothes dryers. If you are interested in converting your current heating system from oil to gas, call Michael J. Messick and ask about our oil-to-gas conversion services. Energy-efficient appliances – including heating and air conditioning systems – help both the environment and the consumer’s wallet. Because these appliances use fewer resources, you as a consumer spend less money to operate the appliance over its lifespan. You may even be entitled to a consumer rebate for the purchase of the appliance. 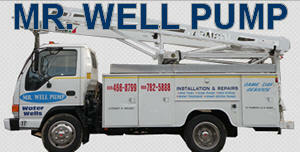 Michael J. Messick Plumbing, Heating & Air carries a variety of energy-efficient heating and air conditioning systems. Call us today to discuss which system can help you save money. Michael J. Messick Plumbing, Heating, Air-Conditioning © 2017.